Sea shell lamps and handicrafts made in Indonesia. Shell lamps, souvenirs and mirror frames. Including here large and medium size mirror frame in round and square shape, rectangular is possible. We have many kind of shell lamps in different models such as large round shell lamps, heart and cone shapes.Mother of pearl shell fish carvings from Bali Indonesia. This is very popular, as seen in many places. Available in many different sizes. 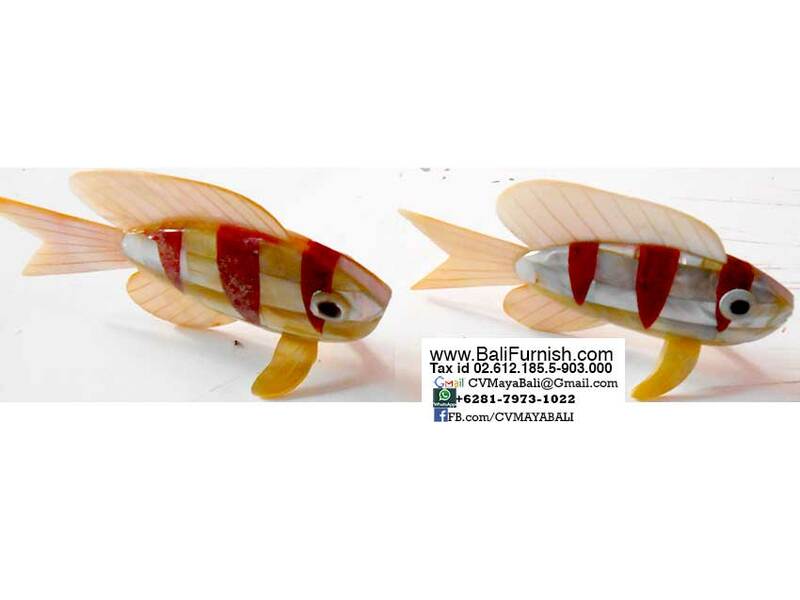 We can make these fish carvings using other kind of shells such as abalone shells, MOP shell and even blue shell. The shell lamps made of small shell which we arrange by hand, many hours of working to make these lamps and other decorative crafts. We have also MOP shell bowls, trays, spoon sets and many more. Please view our photo gallery. 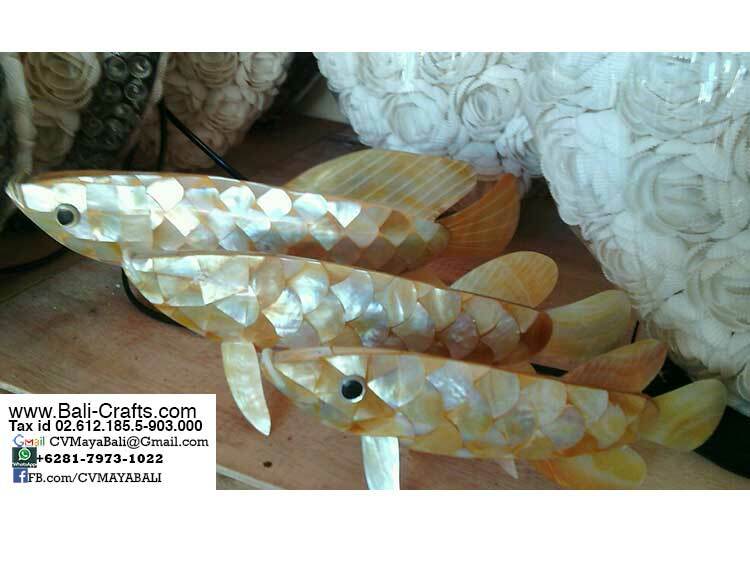 If you need more sea shell crafts from Bali Indonesia, please follow links below. Don’t hesitate to ask for more information regarding ordering our handicrafts or home decors made of shells. Seashell handicrafts made in Indonesia. Various handmade crafts from sea shells. Wooden animals made using mother of pearl shells or other sea shells. Also included here resin and shells crafts. Cheap gifts from Indonesia. 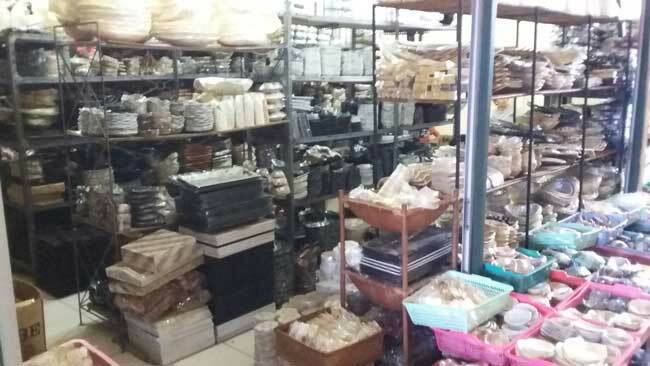 These shell crafts are only small collection of our shell crafts, we have even more available on our web site www.Balifurnish.com for more sea shell crafts from Bali Indonesia. We will be happy to supply you with sea shell crafts like seen below. Other than sea shell crafts, we have also homeware made of sea shells combined with wood or resin. Very popular and available in wide range of products. Please contact us if you interested in importing these sea shell products to your country. We’re producer and exporter. You could get good price for export quality products. Samples available for you to evaluate our products. Contact us using our inquiry form.